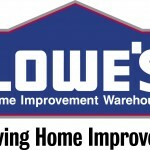 You are here: Home / Uncategorized / Lowe’s FREE $10 off coupon offer! If you’re planning a home improvement project, make sure you take advantage of this new offer from Lowe’s! Get a FREE coupon for $10 off any purchase of $10 or more when you sign up for a MyLowe’s Account! Coupons for Lowe’s don’t come around very often, so make sure you take advantage of this! Remember, you will need to sign up for a MyLowe’s account. After you do this, you will receive your coupon by e-mail within 24-48 hours. Cannot be used in conjunction with any other coupon or discount. 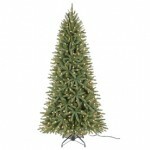 Coupon is good for a single receipt purchase of any in-stock or Special Order merchandise only. Coupon is not redeemable for cash, is nontransferable and cannot be replaced if lost or stolen. Void if altered,copied, transferred or sold through any online auction. Limit one coupon per household. Not valid on previous sales, purchase of services or gift cards. Lowe’s: Save 10% up to $5,000! 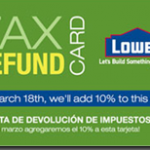 Lowe’s: Save $10 off your next purchase of $50! 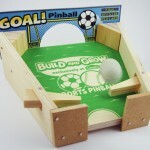 Free weekend fun: Lowe’s Build & Grow Workshop! 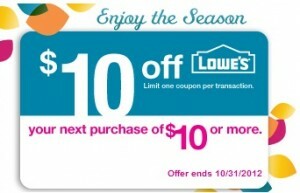 Lowe’s: buy a gift card, get 10% extra! Lowe’s After Christmas Sales: Save up to 75% off! Lowe’s: Utilitech 30-Pack AA Alkaline Batteries for $4! Question about the Lowe’s coupon….i got 2 e-mails with the coupon from them, only signed up once. the coupons have different codes, do you think i’ll be able to use both of them? I would think so, but I would use them on separate transactions.